German PzKpfw VI “Tiger” heavy tank of the Division “Großdeutschland” somewhere on the Western Front. PzKpfw VI «Tiger» – Panzerkampfwagen VI «Tiger» (Ausf H, Ausf E), «Tiger» – German heavy tank of World War II, the prototype of which was the VK4501 tank (H), developed in 1942 by the company under the leadership of “Henschel” Erwin Aders. 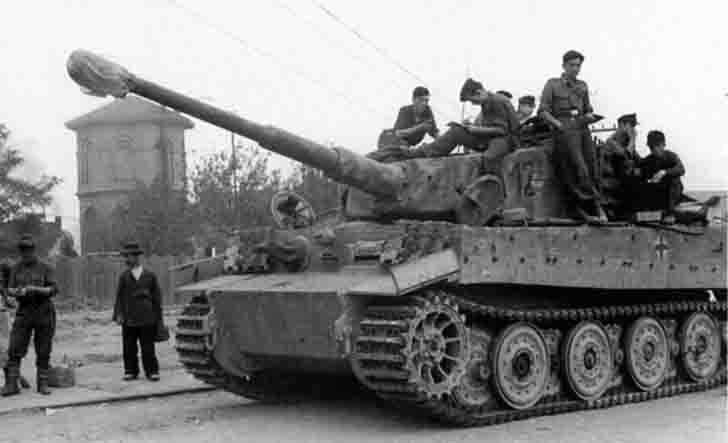 In the departmental classification of armored vehicles through Nazi Germany initially the tank received the designation Pz.Kpfw.VI (Sd.Kfz.181) Tiger Ausf.H1, but after adopting the same name of the new heavy tank – PzKpfw VI Ausf B «Tiger II». In Soviet documents tank “Tiger” is usually referred to simply as T-6 and T-VI.